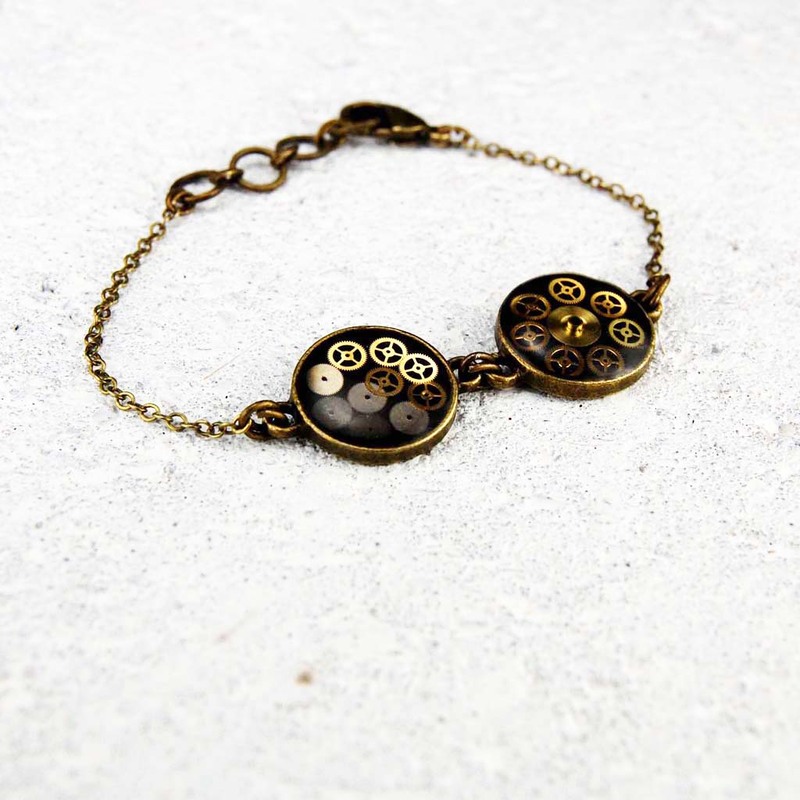 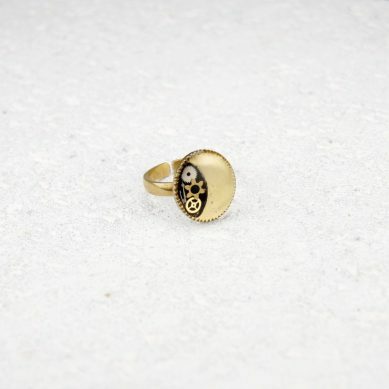 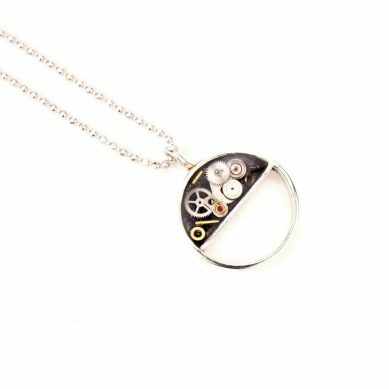 Two delicate bezels filled with gears and sealed with resin. Gears vary from bracelet to bracelet. 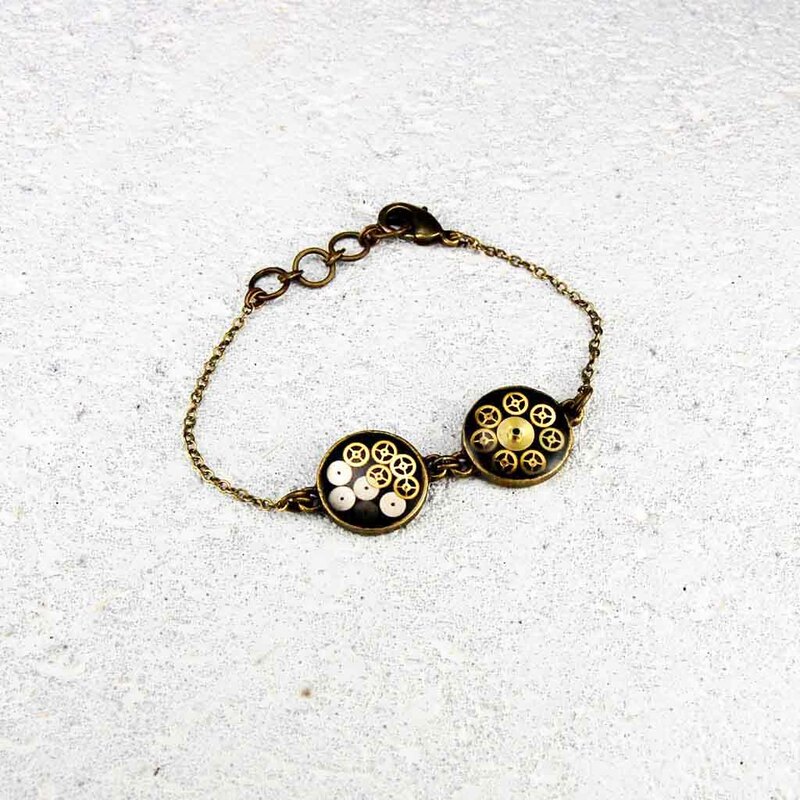 Bracelet you receive may have slightly different gears than what’s in pictures. Please add note with your wrist measurement when placing order.